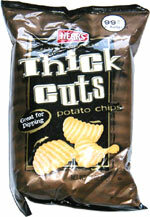 Taste test: The thick cut lives up to its name, these are thicker potato chips than normal chips, plus they're rippled! Many of the chips have the "skin" still on them. 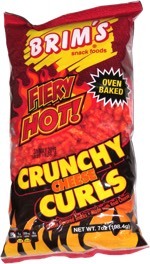 These are very good chips, break out the dip! Smell test: A hearty potato aroma.